Effective teamwork is at the heart of every successful operation. Every individual contributes to the success – or failure – of their team, so it’s vital for all members to work together as a single efficient unit. NMCI Services offer Team Building courses featuring group exercises using our environmental pool, fire-fighting yard, damage repair unit and 360° bridge simulator to test and develop participants’ cooperation and problem-solving skills in a variety of outdoor and indoor scenarios. A typical Team Building day might involve all the virtual thrills and spills of a navigational race around Governors Island in New York Harbour, as experienced in one of the college’s cutting-edge bridge simulators. 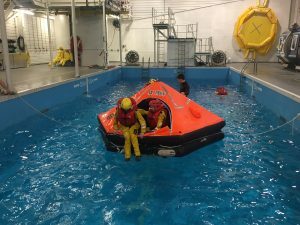 It could challenge participants with a repair exercise in a rapidly flooding chamber in the Damage Repair Instructional Unit (DRIU), or it might test them to the maximum with a range of foul weather sea survival exercises in the environmental pool. The choice is yours! 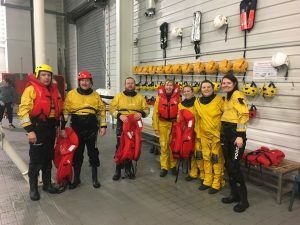 Two groups from Irish Mainport Holdings enjoyed taking part in team building days at the NMCI during January and February of this year. Have a look at some of the images below to see just some of the pool team building elements in action. 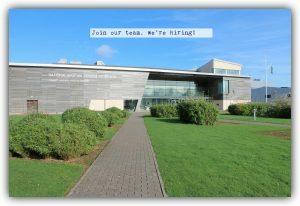 For further information email services@nmci.ie and we will be happy to discuss our Team Building days in more detail. Every evening, millions of people around the world all settle into their armchairs to watch some TV after a long day at work. Many will have a snack and something to drink. It will occur to almost none of them that they have anything to thank shipping for. And yet everyone of the undoubtedly owes a debt of gratitude to the unsung industry of which everyone in the world relies. The TV probably arrived in a containership; the grain that made the bread in the sandwich came in a bulk carrier; the coffee probably came by sea, too. Even the electricity powering the TV set and lighting up the room was probably generated using fuel that came in a giant oil tanker. The truth is, shipping affects us all. No matter where you may be in the world if you look around you are almost certain to see something that either has been or will be transported by sea, whether in the form of raw materials, componanats or the finished article. Yet few people have any idea just how much they rely on shipping. For the mast majority, quality and efficiency, day and night, never pausing and never stopping, keeps the world turning and keeps the people of the world fed, clothed, housed and entertained. This is a story that needs to be told. And this is why the theme that has been chosen for World Maritime Day 2016 is “Shipping: Indispensable To The World”. The theme was chosen to focus on the critical link between shipping and the everyday lives of people all over the planet, and to raise awareness of the role of IMO as the international regulatory body for international shipping. The importance of shipping in supporting and sustaining todays global society gives IMO’s work a significance that reaches far beyond the industry itself. International trade has evolved such that almost no nation can be fully self-sufficient. Every country relies, to some degree, on selling what it produces and acquiring what it lacks: none can be dependant only on its domestic resources. Shipping is the only truly cost-effective and sustainable means by which this can be fulfilled. Today, people all over the world rely on ships to transport the commodities fuel, foodstuffs, goods and products on which we all depend. 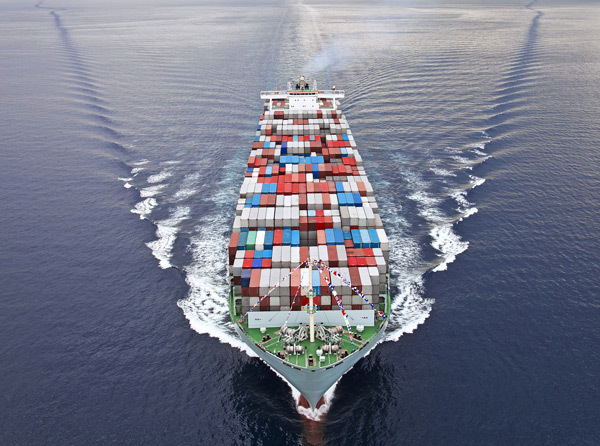 Maritime transport is the backbone of international trade and the global economy. According to the United Nations Conference on Trade and Development (UNCTAD), around 80% of the global trade by volume and over 70% of trade by value are carried by sea and are handled by ports worldwide. These shares are even higher in the case of most developing countries. At the beginning of 2015, the world’s commercial fleet consisted of nearly 90,000 vessels, with a total carrying capacity of some 1.75 billion dwt. This fleet is registered in more than 150 nations and is manned by more than a million seafarers of virtually every nationality. It is this fleet that enables the import and export of goods, on the scale necessary to sustain the modern world, to take place. And what incredible ships make up this global fleet. 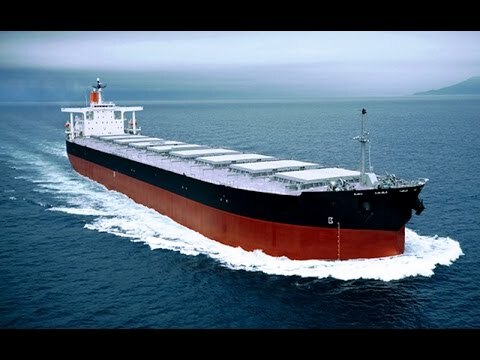 A single ship can carry enough grain to feed nearly four million people for a month; another, enough oil to heat an entire city for a year, and others can carry the same amount of finished goods as nearly 20,000 heavy trucks on the road. Modern ships are, truly, among the engineering wonders of the modern world. Estimates of the volume of shipping trade are usually calculated in tonne-miles – a measurement of tonnes carried, multiplied by the distance travelled. in 2014, according to UNCTAD, the industry shipped 9.84 billion tonnes of cargo for an estimated 52,572 billion tonnes-miles trade – a truly staggering statistic. It is a huge credit to the industry that the vast majority of the indispensable work is completed safely and without incident. It is difficuilt to quantify the value of word seaborne trade in minority terms. However, UNCTAD has estimated that the operation of merchant ship contributes about US$380 billion in freight rates within the global economy, equivalent to about 5% of total world trade. The transport cost element in the shelf price of goods varies from product to product, but is ultimately negligible as far as the customer is concerned. Shipping is perhaps the most international of all the worlds great industries. The ownership and management chain surrounding any particular vessel can embrace many different countries. It is not unusual to find that the owners, operators, shippers, charterers, insurers and the classification society, not to mention the officers and crew, are all of different nationalities and that none of these is from the country whose flag flies at the ships stern. There is, therefore, a clear logic in favour of a framework of international standards to regulate shipping – standards which can be adopted, accepted, implemented and enforced by all. Clearly there has to be a common approach, so that’s ships can ply their trade around the world and that countries receiving foreign-flagged ships can be confident that, in accepting them, they do not place their safety, security and environmental integrity at an unreasonable risk. IMO’s main task has been to develop and maintain a comprehensive regulatory framework for international shipping. 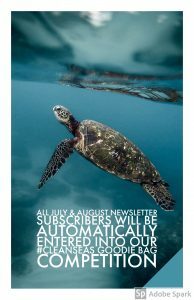 Its mandate was originally limited to safety-related issues but, subsequently, its a remit has expanded to embrace environmental considerations, legal matters and technical corporations. IMO today also addresses issues that affect the overall efficiency of shipping – such as how to deal with stowaways or how a cargo manifest should be transmitted to the authorities ashore, as well as piracy and armed robbery against ships and maritime security. The direct output of IMO’s regulatory work is a comprehensive body of international conventions, supported by literally hundreds of guidelines and reccomendations that, between them, govern just about every facet of the shipping industry. To a considerable extent, shipping’s success in improvement its safety and environmental record can be attributed to the comprehensive framework of rule, regulations and standards developed over many years by IMO, through international collaborating among its Members and with full industry participation. It is thanks in no small measure to the Organization that all those millions of trouble-free tonne-miles referred to earlier are possible. Just about every technical aspect of shipping is covered by an IMO measure, from the drawing board to scrapyard. Every single piece of this all-embracing regulation structure makes a contribution towards the overall sustainable of shipping and is a testimony to the highly responsible attitudes that pervades the shipping industry at all levels. Over the past half century or so, the world has seen an unprecedented escalation in both international trade and cultural exchange. As a result, the world is becoming increasingly interconnected – phenomenon widely known as globalization. Globalization has been made possible by the progressive dismantling of barriers of trade and capital mobility, judgemental technological advances, steadily declining costs of transport, communication and information technology. The potential benefits are clear: growth can be accelerated and prosperity more widespread; skills and technology can be more evenly dispersed, and both individuals and countries can take advantage of previously unimagined economic opportunities. Shipping has been essential to this evolution. But how to ensure that globalization becomes a positive force for all the worlds people, and not for just a privileged few, is something we must all address. The United Nations is actively engaged in meeting this challenge. Maritime activity has a key role to play in achieving this objective. It already provides an important source of invisible income to many developing countries. Indeed, developing countries now lead the world in some of shipping’s most important accelerating businesses, including the registration of ships, the supply of seagoing personnel and ship recycling. They also play a significant part in ship owning and operation, shipbuilding and repair and port services, among others. But, if the benefits of globalization are to be evenly spread, all countries must be able to play a full and active part in shipping. The population of the world has topped 7 billion and in many developing countries is set to double by 2050. the GDP’s of many developing countries are not growing fast enough to meet the demands of their increasing populations. Their economies are based largely on the export of raw materials, with no value added. So how can such countries promote desirable outcomes such as sustainable economic growth, food security, employment, prosperity and stability? There is, of course, no single easy answer. But developing trade by sea, improving port infrastructure and efficiency, nurturing national shipping lines and promoting seafaring as a career, as well as managing and protecting fisheries, securing offshore energy production, and creating the stable conditions that encourage tourism, can all have a very positive and beneficial effect. Sustainable economic growth, employment, prosperity and stability can all be enhanced through developing maritime trade, improving port infrastructure and efficiency and promoting seafaring as a career – especially within the developing world. IMO’s work makes a strong contribution in all these areas. It is the availability of low-cost and efficient maritime transport that has made possible the major shift towards industrial production in emerging economies which has, in large part, been responsible for taking many people out of acute poverty in recent years. The volume of maritime trade is expected to increase as the worlds economy and population continues to expand. And, as the world moves towards a low-carbon future, just how that growth will manifest itself is hard to predict. But one thing is certain: without cost-efficient maritime transport, the movement of raw materials and energy in bulk to wherever they are needed, and the transport of manufacturing goods and products between the continents – which are prerequisite for growth and development – would simply not be possible. Because shipping is inherently the servant of the world’s economy, the contraction in trade following the financial crisis of 2008 resulted in a dramatic and abrupt reduction in demand for shipping. Yet the longer-term outlook for shipping industry remains very good. The world’s population continues to expand, and emerging economies will continue to increase their requirements for the goods and raw materials that shipping transports so safely and efficiently. Shipping will need to respond to the demand for its services. The volume of world trade carried out by sea has begun to steadily increase in recent years. In the longer term, the fact that shipping is the most fuel-efficient and carbon-friendly form of commercial transport could mean an even greater proportion of world trade will be carried by sea – which will bring benefits for consumers across the world, through competitive freight costs. Shipping can also be considered a driver of *green growth*, given its impressive environmental performance. Under IMO’s regulatory regime, both accidental and operational pollution from ships has steadily diminished over many decades and the industry is bound by strict controls on discharges and emissions; and, even though it is already by far the most carbon-efficient form of transport when cargo volumes are taken into consideration, further measures are now in place that will make future ships even more energy-efficient. Sustainable development is dependant on the continuing cost-efficiency of maritime transport, which should not be taken for granted. But economic and regulatory incentives will continue to encourage ship-owners to invest in modernizing their fleets. Theses investments are not only beneficial for the environment, but may also lead to cost savings in the longer term. Through its work in London and throughout the world, IMO underpins development of the maritime sector and the *blue economy* by fostering maritime safety and securely, protection of the environment and the facilitation of maritime trade. Creating the condition in which international shipping can operate safely, securely and with a minimum impact on the global will remain central pillars of IMO’s mission. Standards of living in the industrialized and developing world, and the jobs and livelihoods of billions in the developing world all depend on ships and shipping. Yet the vast majority of people remain blissfully unaware of how much they rely on it and how much it shapes their lives. Deputies Martin Kenny, Martin Ferris, Micheál Martin (Leader of Opposition) and Thomas Pringle have three minutes each. “Up to 400 seafarers and 20 lecturers are poised to lose their jobs on 1 January 2017. Their jobs will be at risk unless we resolve a dispute between the National Maritime College of Ireland and the Marine Survey Office. 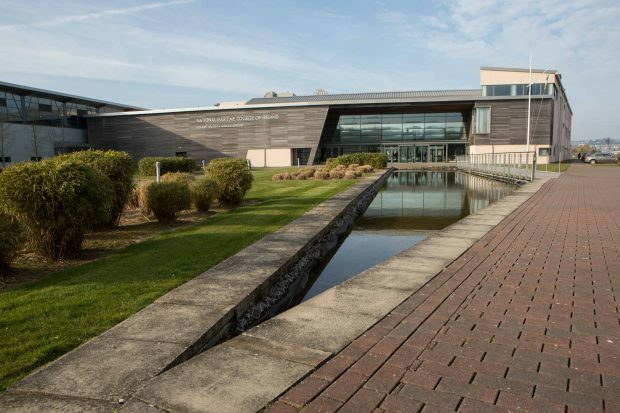 In February 2015, the National Maritime College of Ireland made a submission to the Marine Survey Office seeking approval of a refresher course, but it has not yet received such approval. 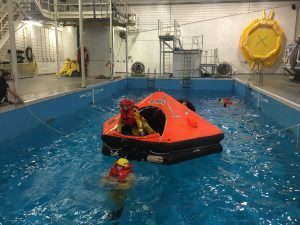 Following the Marine Survey Office’s failure to respond, the National Maritime College of Ireland approached the UK Marine and Coastguard Agency through a dedicated maritime offshore joint venture training company. The UK agency is highly regarded globally and has approved courses undertaken in a number of EU member states, including France, Spain, the Netherlands and Croatia. Every member state recognises the appropriate certificates issued by other member states. 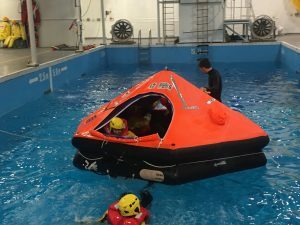 The seafaring upgrade that was carried out by the UK Marine and Coastguard Agency in conjunction with the National Maritime College of Ireland relates to on-board safety and basic seafaring safety skills. The Minister can resolve the stand-off that has developed as a consequence of all this. 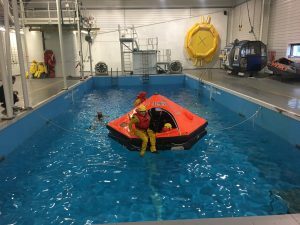 He needs to convince the Marine Survey Office of the legitimacy of the refresher courses that were provided by the UK Marine and Coastguard Agency. The agency, which is recognised globally, came here to provide these courses, and 400 seafarers took part in them.